A graduate of Skyline High School, Jennings was graduated from the Dallas Institute of Funeral Services. 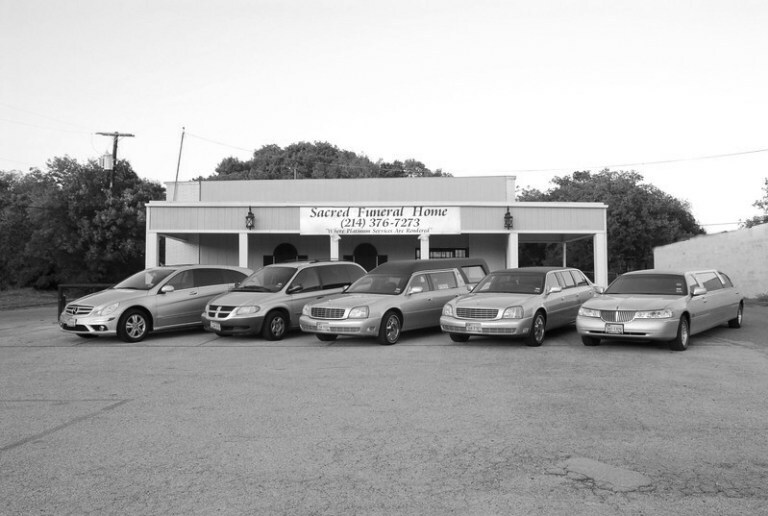 He began his career working for some of the finest funeral homes in the Dallas area. Quickly, he earned a reputation for being one the finest embalmers in the state of Texas. 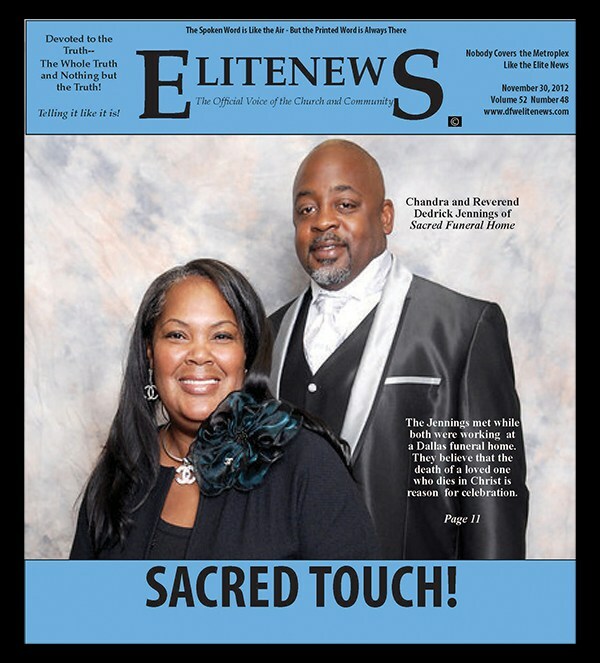 Jennings and his wife, Chandra, met while working together in the funeral industry. Like her husband, Mrs. Jennings is a graduate of the Dallas Institute. they dated for eleven years before deciding to blend their loved and their professions. “Death is sacred,” said Chandra Jennings. ” It is a transition from one life to another. We have departed in a sacred matter. this is why we named our business sacred,” she said. Located at 4228 S. Lancaster Road i South Dallas, Sacred has a full time staff of three professionals and eight part-time employees. Employees at Sacred are encouraged to treat families with tenderness, love, respect an care during their times of bereavement and even beyond, said Mrs. Jennings, whose late father, C.H. Gerald, was one of the pillars of the Dallas ministerial community. She said that she is still in contact with families who used Sacred’s professional services five years ago. “Our business is based on faith,” said Derrick Jennings. “Running this business has demonstrated to us that God will provide for us and for the people we serve. “We are a full-service funeral establishment that is capable of doing what any other concern is capable of doing,” he said. 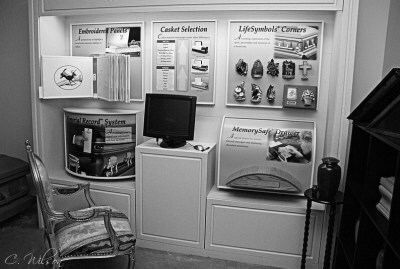 Jennings said that one of the specialties of his business was customizing funeral services to the lifestyles of the deceased.